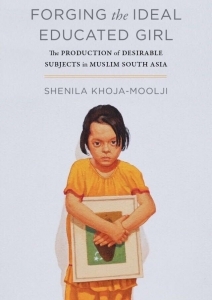 In Forging the Ideal Educated Girl: The Production of Desirable Subjects in Muslim South Asia, Shenila Khoja-Moolji offers a detailed historical account of the multiple, shifting articulations of the figure of the educated Muslim girl in South Asia from the nineteenth century to the present day. This book offers an important and inspiring challenge to homogeneous and reductionist narratives surrounding Muslim women and girls, finds Alexis Saba. Across the world stage, policymakers and journalists envision an ideal Muslim girl as someone equipped with the most effective tool for fighting against their own oppressive local patriarchies and cultures—an education. In Forging the Ideal Educated Girl: The Production of Desirable Subjects in Muslim South Asia, Shenila Khoja-Moolji intervenes in the politicised universal of the Muslim girl/woman subject and her local cultural context. Through a detailed account of the multiple articulations, from the nineteenth century onwards, of the educated Muslim girl in South Asia, Khoja-Moolji demonstrates how campaigns for girls’ and women’s education are spaces open for the construction of class, religious ideals, gender and the nation state. While categorised under ‘Islamic Humanities’, this book is relevant to a wide-ranging audience. Anyone with an interest and some background in postcolonial feminist studies, gender studies, South Asian history, education studies, critical development and/or religious studies will find Khoja-Moolji’s Foucauldian genealogy of the ‘produced’ ideal educated Muslim girl/woman an inspiring and groundbreaking text. Her genealogy focuses on key shifting moments in colonial, post-Partition and present-day South Asia through nineteenth- and twentieth-century archival print media, writings and speeches, along with contemporary fieldwork and media studies. During the periods in which newly desired futures were up for debate, it was through the figure of the woman and girl child that identities were shaped. Khoja-Moolji beautifully conveys the complexity of the constantly shifting and [re]articulated educated subjectivities and class identities of Muslim woman/girls in South Asia. Forging the Ideal Educated Girl contains six chapters, each providing a different and necessary point in Khoja-Moolji’s genealogy of the ideal educated Muslim girl/woman. She first attends to the contemporary ways that those including the journalist Nicholas Kristof and former UN Secretary-General Ban Ki Moon produce, through policy briefs, articles and speeches, the ideal educated girl as a figure that challenges her own ‘local oppressive culture’. Using such examples as Malala Yousafzai and the Nigerian girls kidnapped by Boko Haram, they construct a monolithic identity of the educated Muslim girl who must literally fight and suffer in order to gain education. Khoja-Moolji demonstrates how these articulations ignore the ways that notions of the educated woman and issues of reform have been taken up by Muslims themselves. The archival information that Khoja-Moolji brings together for her project is impressive. The physical demands alone of doing archival research in Pakistan are immense and filled with bureaucratic hurdles. There is great need to preserve these accounts of writing about women in colonial South Asia, making Khoja-Moolji’s project even more important and comprehensive. In Chapter Two, ‘Forging Sharif [Respectable] Subjects’, Khoja-Moolji unwinds early-nineteenth- and twentieth-century narratives of educated womanhood in colonial India that were influenced and wrought by the distinct colonial experience. She focuses on the importance of didactic novels (Mirat-ul-uroos, for example) and Urdu periodicals in the shaping of educated subjectivities during the reformation era (mostly accounts by men) to demonstrate instances of the politicisation of the educated woman/girl. Khoja-Moolji also takes her reader through nineteenth- and twentieth-century works written specifically by women in periodicals and as instructional novels. These pieces in particular served as the discursive sites in which women took part in the shaping of educational and religious reform projects. She notes that accounts by women have been neglected in the broader telling of history and can demonstrate how ashraf (respectable) women would debate about sharafat (respectability) itself. These writings thus reveal that women were indeed active and not the constructed and stereotypical notion of Muslim women as silent and secluded. Adding layers to her genealogy, Khoja-Moolji then shifts to post-Partition archival materials of policy, speeches and advertisements. In Chapter Three, ‘Desirable and Failed Citizen Subjects’, the educated girl/woman can be seen as part of nation-building, modernisation and the development of the newly independent Pakistan. Particularly interesting are a series of Pakistan International Airlines (PIA) advertisements that make it appear natural for women to be caregivers of the nation and society – a move by the national airline to not ‘rock the boat’ by challenging already-dominant gender norms. Khoja-Moolji traces the outlines of the ‘empowered girl’ in Chapters Four and Five through fieldwork in a minority Shia Muslim community in Pakistan as well as through current television serials that revisit nineteenth-century reform-era narratives. In doing so, she also investigates how neoliberal tropes of the ‘empowered’-thus-educated girl are contested and appropriated on the ground. In the final chapter, ‘Tracing Storylines’, Khoja-Moolji does exactly that—she traces the outlines of the many images of the ideal educated Muslim girl/woman and their intersections with religion, labour, politics and notions of respectability. Khoja Moolji’s detailing of the past to the present alone would make this book worthy of reading. However, her text is also, and more importantly, a tool for understanding how current development agendas paint Muslim women and girls with one brush stroke, all needing to fight a monolithic repressive local culture. 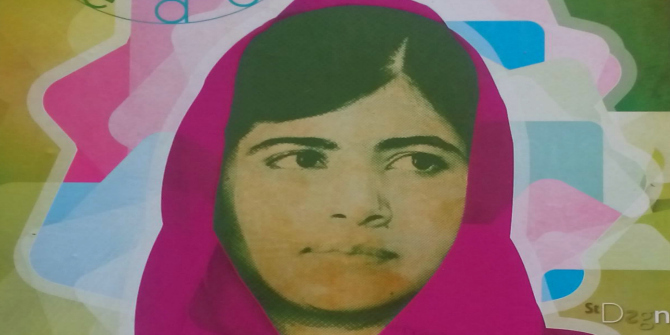 The author asserts that the images and reductionist tropes included in narratives about young girls, including those of Malala Yousafzai and the Nigerian girls kidnapped by Boko Haram, present her as going against her local culture by wanting education. These accounts seem convincing enough in their simplicity and can easily be transplanted throughout the Muslim world and Global South. Problematic in their very nature, narratives of educated girls going against their local ‘repressive’ culture blatantly ignore, as Khoja-Moolji argues, the structural and historical reasons for gender-based violence, poverty and terrorism. Rather, the reductionism fits conveniently into a narrative about a regressive and oppressive Islam and Muslim world, while at the same time reaffirming the agendas of transnational development. In other words, all Muslim girls should aspire to become empowered through access to formal education in order to turn over their very own repressive and ‘backward’ cultures. Khoja-Moolji’s work is the necessary derailment of this contemporary narrative and its nineteenth- and twentieth-century predecessors. ‘By educating a girl, the world can end poverty, violence, and terrorism’—this promise, Khoja-Moolji argues, is part of a history in which people have engaged in efforts to reform nations and societies. As the ideal Muslim educated woman/girl was and is produced, she is bound up in constructions of class, religious ideals, gender and the nation state. Tracing this production through a Foucauldian genealogy is only one of the multiple key contributions that Khoja-Moolji makes with her text. This review originally appeared in the LSE Review of Books and can be viewed here. Alexis Saba is currently a PhD Candidate in Education Policy Studies and International and Comparative Education at Indiana University. Her research focuses on international development and education reform practices in Lahore, Pakistan.